Miryana Petrovic was born in Belgrade, Serbia, where she began her piano studies at the age of 7. After completion of elementary music school, she has continued her education at Music High School where she majored in piano performance, music theory and voice. During this period she made first important public performances as a piano soloist. Petrovic received a Scholarship of Republic Serbia towards her studies in Piano Performance and Music Pedagogy at the Belgrade Music Academy. She studied with Dr. Jokut Mihailovic and Ninoslav Zivkovic, and performed with the chamber ensemble and as a soloist on number of different concerts throughout the country. In 2005 Petrovic continued her music education at Florida International University, where she received her master’s degree in music composition. Miryana is also deeply committed music educator who began teaching privately in 2002. She has taught in music elementary and middle school, and music high school as well as at the university level, as a Teacher Assistant at Florida International University. Miryana believes that it is important that the children experience music and art through learning and playing an instrument; that is a powerful tool in shaping one’s personality and aesthetics. In her teaching method her goal is to combine the high level of technique with musicality and individual interpretation. The beginners’ lessons are systematized as a successful blend of fun musical games and new academic material, thus learning new is fun and inspiring. Believing that each student deserves individual approach, she is enthusiastic to help people of all ages to learn, grow, and succeed in music. ﻿Currently she is a doctoral student at University of Miami. Miryana was teaching at Florida International University, SOBE Music Institute, Music America, H.O.M.E. (Home Schoolers of Miami Enrichment) etc. 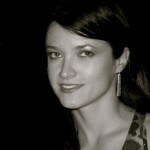 She is currently teaching at University of Miami, Miami Music Works, and privately. All Levels - Beginner's to advanced. Beginners - usually from 5 years of age and older. Let others know about Miami Music Lessons. Did this teacher help you to learn? How long did you take lessons? Are you still playing music? Share any thoughts or stories you have so that others can know about this teacher!